Even electric motors in the harshest environments require feedback to ensure smooth speed control. Passenger trains and locomotives use encoders to know when to switch coils inside motors to control acceleration and deceleration. 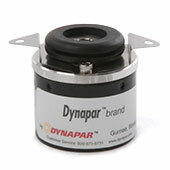 When reliable feedback is required in environments with extreme shock and vibration, dirt and high temperatures, NorthStar brand encoders rise to the challenge. Starting with the proven HSD44, NorthStar offers feedback solutions designed to survive including products sealed against dust, oil, grease, liquids and mud, built with rugged housings and high operating temperatures. Ideal for light rail, heavy rail and mining vehicles, the HSD44 features a tough stainless steel optical code disk, counter-shaft coupler for flexible mounting that eliminates resonance and more. 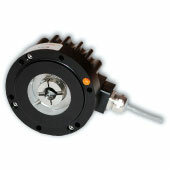 Compact encoder with up to 2,540 PPR resolution for precise motion control. Easy to install with shafted, hub-shaft and integral coupling mounting styles available. 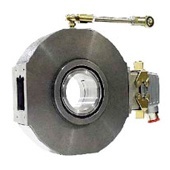 Hollow-shaft magnetic encoder with a cast iron or stainless steel housing, magneto-resistive technology with removable on-the-fly sensor modules and available dual isolated outputs.